HTC Americas President Jason Mackenzie got HTC One owners' hopes up a few days ago when he tweeted that the long-awaited Android 4.3 update was scheduled to roll out within the span of a week. 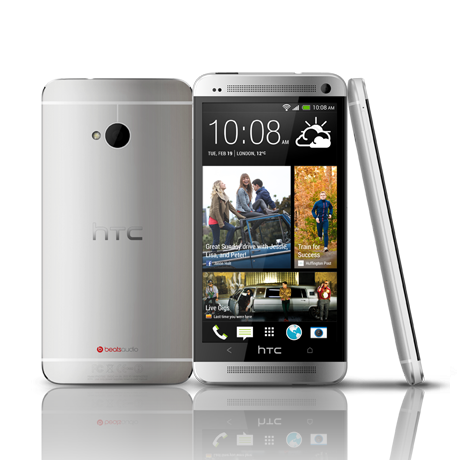 These updates are aimed at the developer edition of the HTC One along with HTC Ones distributed by Canadian carriers. While we're still waiting on the latter, the former has arrived. Android 4.3 update w/Sense 5 rolling out now to #HTCOne Developer Edition users. Updates from version 1.29.1540.17 to 3.22.1540.1. Enjoy! There it is, straight from HTC. But we know many of you are skeptical, so here's additional evidence. 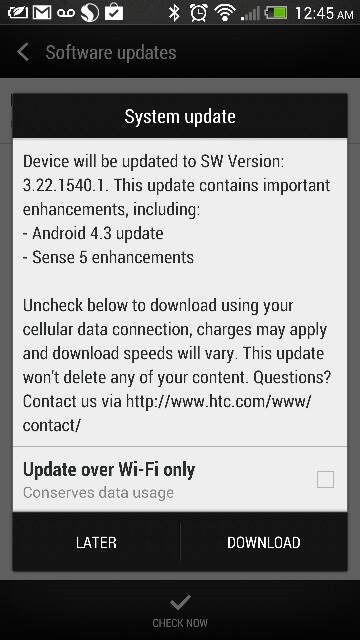 As you can see above, the update rolls the HTC One Developer Edition up to version 3.22.1540.1, bumping Android up to 4.3 and delivering enhancements to Sense 5. So there you go, get excited. As for other HTC One owners, we'll let you know as soon as further updates arrive.